Many people take the New Year as an opportunity to start fresh in a new job. The good news is that there will be plenty of openings to suit a wide range of seekers as CareerBuilder reports that over 100 occupations in the U.S. have more job posting activity than hiring month to month and a recent report from a record 78% of hiring managers anticipate more hiring in the first half of 2016 compared to the second half of 2015. For those looking to hire, Dice found that companies are taking a greater interest in candidates with less experience. More than a quarter (27%) of hiring managers said they plan to hire entry-level candidates and 62% said they’re looking for those with two to five years' experience. Finding and applying for those open positions may be taking on a different look in 2016. For example, the Boston Consulting Group and Recruit Works Institute surveyed 13,000 individuals from 13 countries and found that 55% of searches globally happened through Internet job sites. The survey also revealed that 35% used a smartphone to look for jobs. Here are some other ways the job search process is shifting. In a study of hiring trends in the U.S., iCIMS discovered that approximately 1.1 million (almost 10% of all applications) were submitted with social media profiles. The computer services industry had the highest percentage of applications submitted via social networking tools, the study found. Tom Gimbel, founder & CEO of LaSalle Network, a staffing and recruiting firm headquartered in Chicago, says that social media has also become a more popular way to search for a job. "Facebook and Twitter are great, they give insight into the culture and give background knowledge that’s not on the company’s website," he says. Gimbel believes LinkedIn is still the biggest tool job seekers use. "In 2016, I think we will see more and more companies posting their open positions to LinkedIn, so it will be a strong job board." Jim Hemmer, CEO at employee recognition software company WorkStride, believes that social media and job platforms will become a necessary part of applying for any position. "Employees today are no longer looking at only what the company ‘advertises’ the job or company environment to be," he says, they will conduct their own research, a "reverse reference check," before applying or accepting a position. "Sites such as GlassDoor, LinkedIn, and Facebook are popular ones that can provide a more "authentic" view of true company culture," Hemmer says. Don’t discount the power of a cup of coffee when you are looking for a new job. 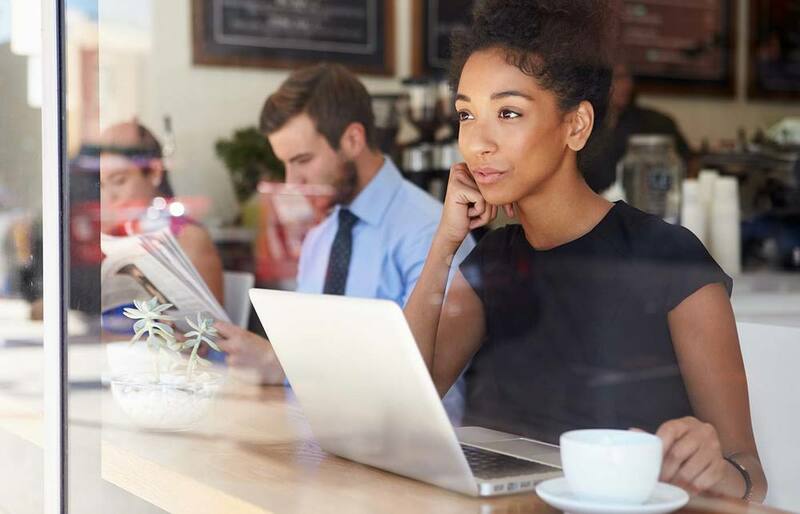 "Job seekers should take advantage of every opportunity to get face-to-face with potential employers, whether at a full networking event or simply chatting over a cup of coffee," says Sara McManigal, vice president of talent at Emma, an email marketing firm. Informal conversations at various local meet-ups inspired McManigal to host their own event called the "Leave Your Suits at Home Job Fair" to recruit for the sales team. "It allowed us to have a series of short, informal discussions with prospective candidates, which can be more revealing than even the best resume," she says. McManigal believes that candidates should be looking beyond the actual nuts and bolts qualifications required for a role. "Yes, experience is important, but we also want to know who you are and what drives you," she says. "Not every applicant will have all the skills listed in the job posting, but an experienced candidate with the drive to learn and succeed has a real shot," she explains, and when the values of the candidate and company align, it works to everyone’s advantage. This approach might also help narrow skills gaps in high-demand professions. But Vivek Ravisankar, co-founder and CEO of HackerRank argues that despite the prevailing wisdom, there is no engineering skills gap. "There are millions of skilled computer programmers in the world, but companies aren't looking for them in the right way." Thanks to narrow job descriptions, some people aren’t even aware that they might be a good fit for a position. Ravisankar believes that in the coming year, more candidates will turn to platforms like HackerRank to showcase their skills before ever filling out a job application. "Skill will become more important than where you went to college, where you worked, and your age or gender," he says, "Companies, too, will be forced to adjust their hiring processes to optimize for talent." Anthony Smith, CEO and founder of Insightly, a customer relationship and project management platform, believes that candidates’ flexibility will be key in the coming year when applying to companies with multiple locations because one may have the right position. Smith also notes, "Don't discount a company based outside your current location as many companies these days offer remote work opportunities." Video platforms such as CareerSushi and ClincHR are providing a platform for candidates to set up video profiles for themselves for recruiters to get a more realistic picture of their interpersonal skills than a traditional resume can provide. Chris Brown, vice president of human resources at West Corporation, InterCall’s parent company, believes video interviews are also here to stay as hiring resources are limited. For recruiters, platforms such as HireVue can accelerate the interview process. For example, Jim Oddo, the senior vice president of HR at Frontier is in charge of hiring over 1,000 new employees and took the "video-first" approach to vetting talent. So far, it’s given Frontier access to talent pools that are marginalized by traditional hiring methods, such as veterans. Frontier increased veteran hiring from 7% to 10.4% using digital interviewing. "Being comfortable with these tools and presenting a concise picture of your profile is going to be just as important as time spent on resume building," Brown says, adding "Candidates who are able to master the video interview process are going to be ahead of the curve in the hiring process." Alon Zouaretz, founder and CEO of Talsona, a technology company that helps with team building, says it's less and less effective for candidates to apply for jobs (and companies to post them) as an unfocused mass, on the big sites and job search engines. "We see a big trend in candidates being very focused around specific industries, driven by their specific interests in finding and making their career moves," he explains. One way he sees them doing this by building relationships with companies and people within companies first, rather than just applying for a specific position on a job board. In addition to learning about the company and its culture and getting a referral, it will help the resume process. "By the time the referred resume hits an inbox, it’s tailored to something specific between the company and the candidate—seeding the groundwork for positions based on the person’s interests and skills, as well as where the company is at directionally and in the position they are trying to fill," he says.